Longtime China Basin owner/operator McCarthy Cook and new financial partner JP Morgan have purchased China Basin for about $390 million, a recapitalization that doesn’t change the management or operation of the property. The purchase price valued the 930,000 square-foot, two-building property at $420 a square foot, according to brokerage sources. JP Morgan is the fifth in a series of investment firms that have owned a stake in China Basin along side McCarthy Cook, which has managed the property for 15 years. JP Morgan essentially takes the California Public Employees’ Retirement System out of the property. CalPERS had invested in China Basin as part of the CalSmart fund, which was managed first by RREEF and, starting last may, by Canyon Capital Realty Advisors. The transaction comes at a time when China Basin has been on absolute fire. The property completed 350,000 square feet of new leases in 2011, including most of the 175,000 square feet that was added in 2007 and sat empty during the recession. The two newest tenants are Dropbox, which took 85,600 square feet, and GREE, a Japanese social gaming company, which grabbed 41,000 square feet. 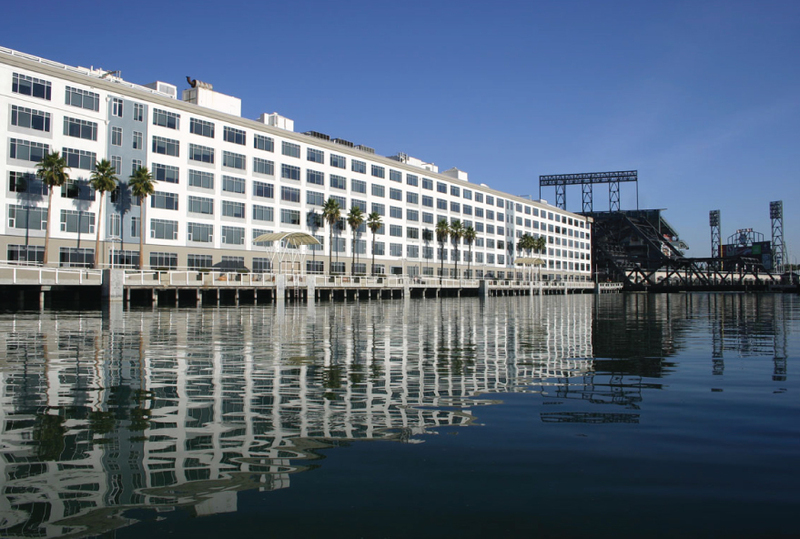 China Basin is now 95 percent leased, with about 40,000 square feet available in the two buildings, although McCarthy Cook is in active negotiations on much of that space.